Ideal mid-grade starter set, the condition is a pleasing and reasonably consistent VG-Ex/Ex overall (these range from GVG to Ex-Mt). The many secondary stars make this an especially good value. 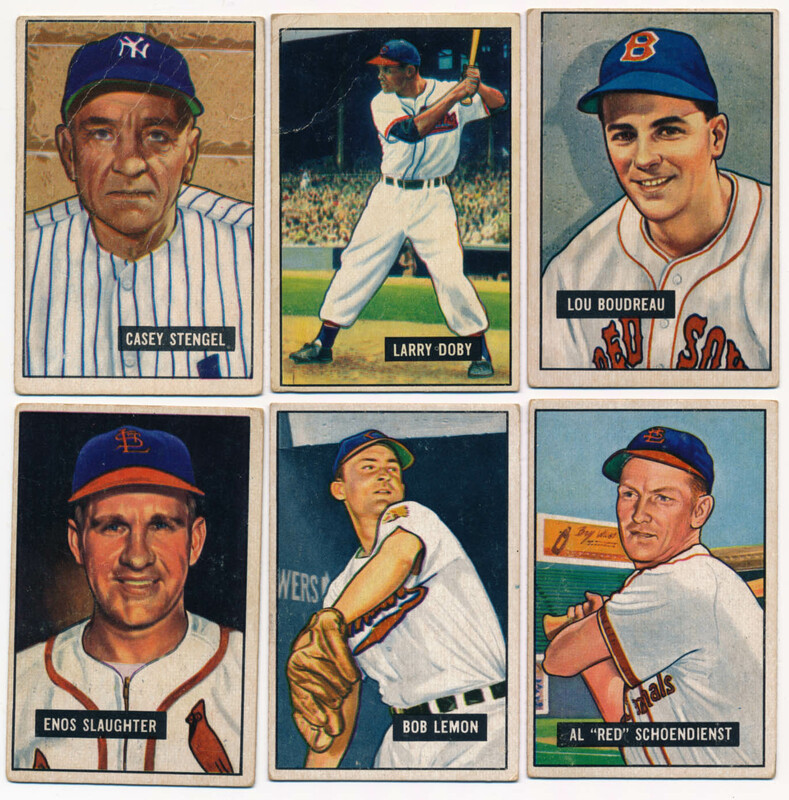 These better cards come in the lot: 4 Ennis, 6 Newcombe, 10 Schoendienst, 13 E Stanky, 15 Pesky, 24 Blackwell, 25 Raschi, 27 Konstanty, 37 Lockman, 40 Bell RC, 44 Smalley, 46 Kell , 49 Coleman, 52 Sisler, 53 Lemon, 54 R Boone RC, 56 Branca, 58 Slaughter, 60 Carrasquel RC, 62 Boudreau, 81 Furillo, 103 Pafko, 109 Reynolds, 110 B Brown, 111 Simmons, 127 Maglie RC, 151 Doby, 181 Stengel, 183 Bauer, 195 P Richards, 196 Pierce RC, 203 Law RC, 217 Page and 238 Reiser.